There is one manuscript which varies so much from others in its form and in its contents as to afford the strongest inside evidence that it has come down to us from a source entirely different from that which gave origin to other and later documents. 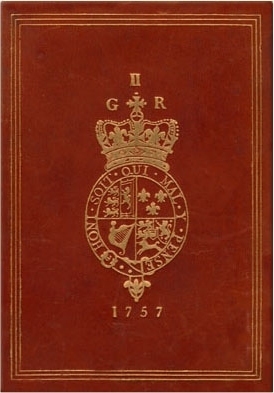 We refer to what is known to Masonic antiquaries as the Halliwell or Regius MS. As this is admitted to be the oldest Masonic document in existence, and as some very important conclusions in respect to the early history of the Craft are about to be drawn from it, a detailed account of it will not be deemed out of place. This work was first published in 1840 (the same year that A.F.&A.M. Harmony Lodge #6 was founded in Galveston, Texas, USA) by Mr. James Orchard Halliwell, under the title of "A Poem on the Constitutions of Masonry." from the original manuscript in the King's Library of the British Museum. Mr. Halliwell, who afterwards adopted the name of Phillips, is not a member of the Brotherhood, and Woodford appropriately remarks that "it is somewhat curious that to Grandidier and Halliwell, both non-Masons, Freemasonry owes the impetus given at separate epochs to the study of it archeology and history." Halliwell says that the manuscript formerly belonged to Charles Theyer, a well-known collector of the 17th century. It is undoubtedly the oldest Masonic MS. there is. Messers. Bond and Egerton of the British Museum consider the date to be about the middle of the 15th century. Kloss 4 thinks that it was written between the years 1427 and 1445. Dr. Oliver claims that it is a copy of the Book of Constitutions adopted by the General Assembly, held in the year 926, at the City of York. Halliwell himself places the date of the MS. at 1390. Woodford agrees with the estimate. We are of the same opinion. The manuscript is in rhymed verse, and consists of 794 lines. At the head of the poem is the inscription: "Hie incipiunt constituciones artis gemetriae secundum Euclydem." The language is older than that of Wicliffe's version of the Bible, which was written toward the end of the 14th century, but in Bro. Mackey's opinion approaches very nearly to that of the Chronicles of Robert of Gloucester, the date of which was at the beginning of the same century. The variations which exist between the Halliwell poem or poems, and other Masonic manuscripts of later date, are very important. They indicate a difference of origin, and, by the points of difference, suggest several questions as to the early progress of Masonry in England. 1. The form of the Halliwell MS. differs entirely from that of the others. The latter are in prose, while the former is in verse. 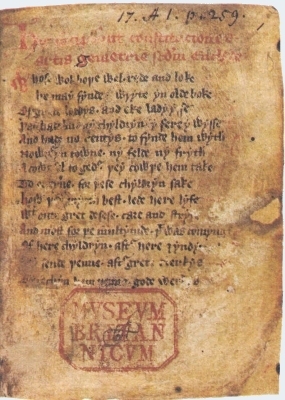 The language too, of the Halliwell MS., is far more ancient than that of the other manuscripts, showing that it was written in an earlier stage of the English tongue. It belongs to Early English which succeeded the Anglo-Saxon. The other manuscripts were written at a later period of the language. 2. The Halliwell MS. is evidently a Roman Catholic production, and was written when the religion of Rome prevailed in England. The later manuscripts are Protestant in their character, and many must have been written after the middle of the 16th century, at least when Protestantism was introduced in that country by Edward VI, and by Queen Elizabeth (reigns from 1537-1553 and 1558-1603, respectively). All these facts concerning the gradual changes in the religious character of the institution, which by putting together the old manuscripts we are enabled to derive from the Legend of the Craft, are supported by historical documents, as will be seen, and thus the "Legend," notwithstanding the many defects and errors as to the dates which deface it, becomes really valuable as an authority. The Legend of the Craft, as it has been given in this work from the example in the Dowland MS., appears to have been accepted for centuries by the body of the Fraternity as a truthful history. Even at present day, this Legend is exerting an influence in the formation of various parts of the ritual. This influence has even been extended to the adoption of historical views of the rise and progress of the institution, which have, in reality, no other foundation than the statements contained in the Legend. For these reasons, the Legend of the Craft is of great importance and value to the student of Masonic history, notwithstanding the conflicting periods, and unsupported theories in which it abounds. Accepting it simply as a document which for so long a period claimed and received the fullest faith of the Fraternity whose history it professed to give - a faith not yet dead - it is worthy of our consideration whether we can not, by a careful examination of its general spirit and meaning, beyond the bare story it contains, discover some key to the true origin and character of that old and extensive brotherhood of which it is the earliest record. [G]e mowe hyt knowe long [g]er ny[g]ht. And kepe the wel from "had-y-wyste."